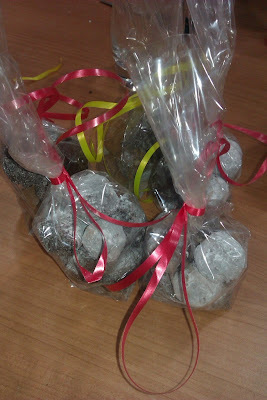 My wife got given a chocolate "making" course for her birthday last year by a friend. Although I agreed to go on it with her (well it was chocolate after all), I wasn't holding out much hope in it being any good. 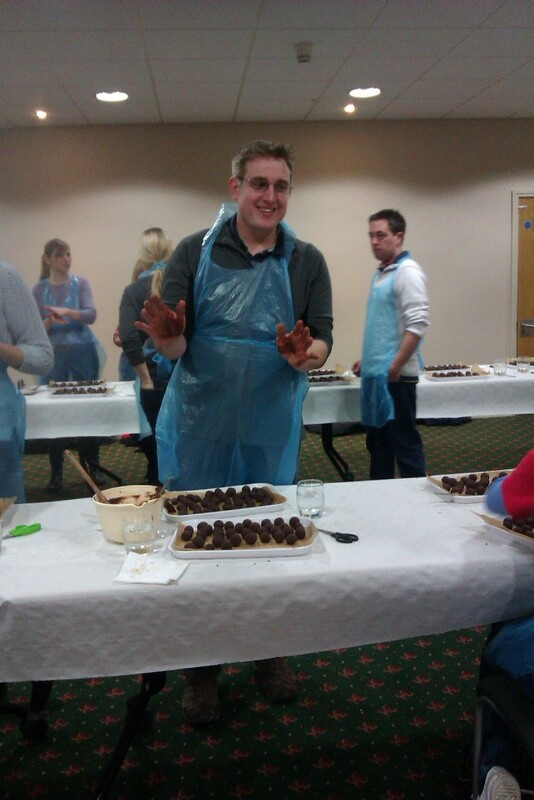 But we went to Stratfford on Avon on Saturday and had a really enjoyable morning making truffles. We made a ganache out of chocolate and cream then used pipping bags to make long chocolate poos on a tray, before cutting them up and making the ganache into balls. Hot hands are not great for this! 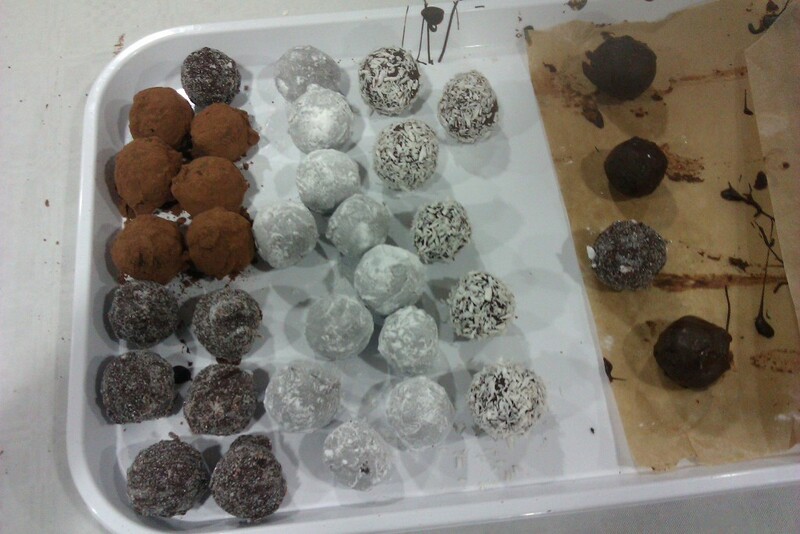 I'm always warm, great for working outside like I do, not so great for making chocolate balls. It just kept melting in my hands, meaning I had to keep washing them and dipping them in cold water about every third truffle, whereas my wife managed to roll all of hers without having to cool her hands once (but cold hands aren't so great when she jumps into bed at night). 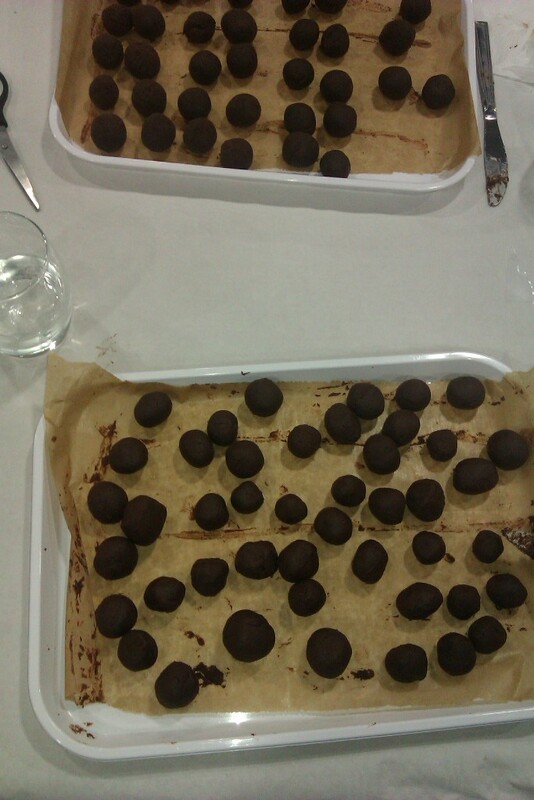 Once we made our truffle shapes we had to coat them. The instructor tempered some chocolate for us then we coated our truffles in this before dipping them in different finishes to make them stick. The finishes were caster sugar, coconut, coco powder, icing sugar. They all looked pretty good by the end. This is the first day out we've had together without the baby since she's been born and although I had a few "where's the baby moments" it was nice to do the course, go shopping and watch a film like we used to. Still good to get home to her though! Anyone else attended a course to be pleasantly surprised by how good it was? To answer your question...Chinese brush painting..but now I wish I'd done the chocolate course! Sounds far too artistic for me! I'll stick to filling my face! We went on a pig keeping course (before we got our pigs) and had a brilliant time. We also did a chicken course and were filmed and interviewed while we were there for a Japanese documentary, slightly surreal to think of us appearing with subtitles (or even dubbed) on Japanese tele!! Delish ... that was what I needed this morning was "chocolates" with me coffee ! Oh, but those truffles I would love to eat for you! Not many left now I'm afraid!